3 Bedrooms, 3 Bathrooms, Sleeps 6. 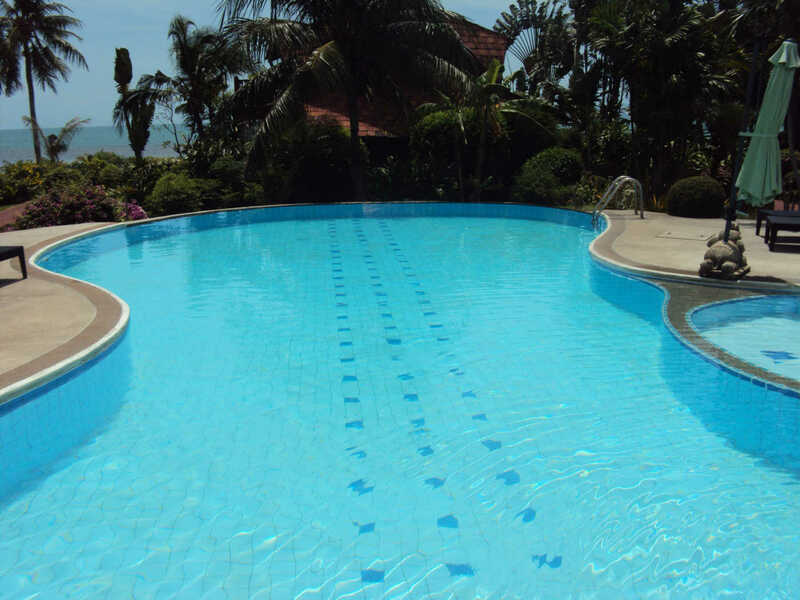 Beautiful villa sited on the 3rd row 40 meters from the beach in a mature and well maintained tropical garden with excellent views. The ground floor features large covered terrace, spacious lounge, dining and kitchen areas, 1 twin bedroom and 1 bathroom. The modern kitchen has a 4 ring hob, microwave, coffee maker, large fridge freezer, extensive supply of cooking utensils, crockery, cutlery and glassware. 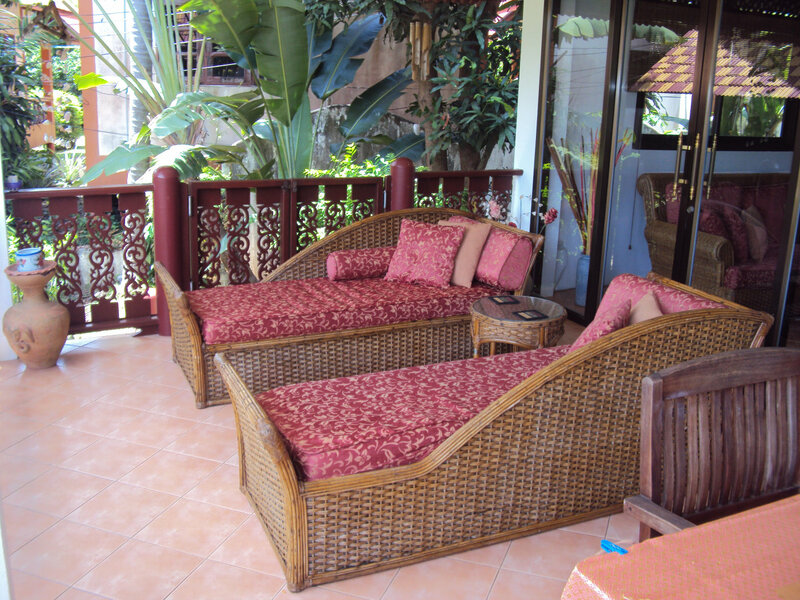 The villa is very well equipped, furnished and maintained. 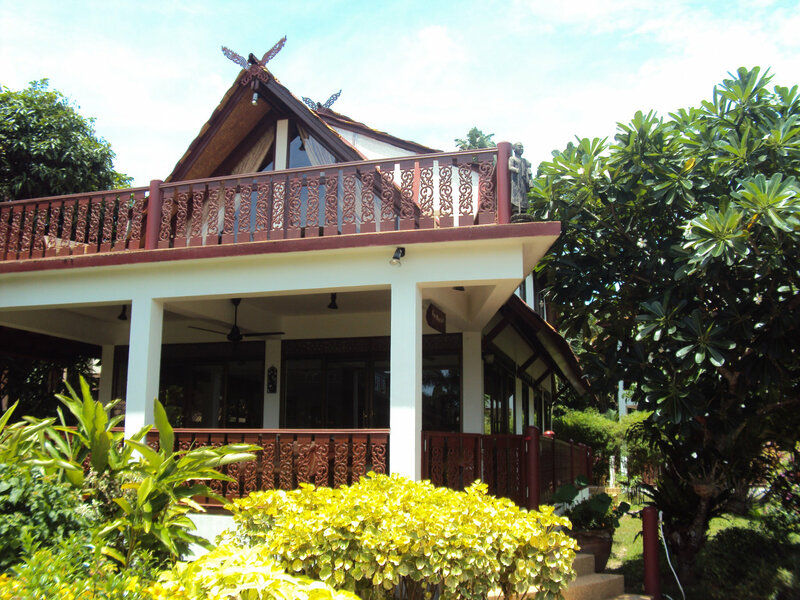 The first floor has 2 double bedrooms, 2 bathrooms and an open terrace with marvelous views over the Gulf of Thailand to Koh Phangan. A great place to relax and let your cares go by. All the bedrooms have air conditioning and ceiling fans. The villa i swell furnished, equipped and maintained. 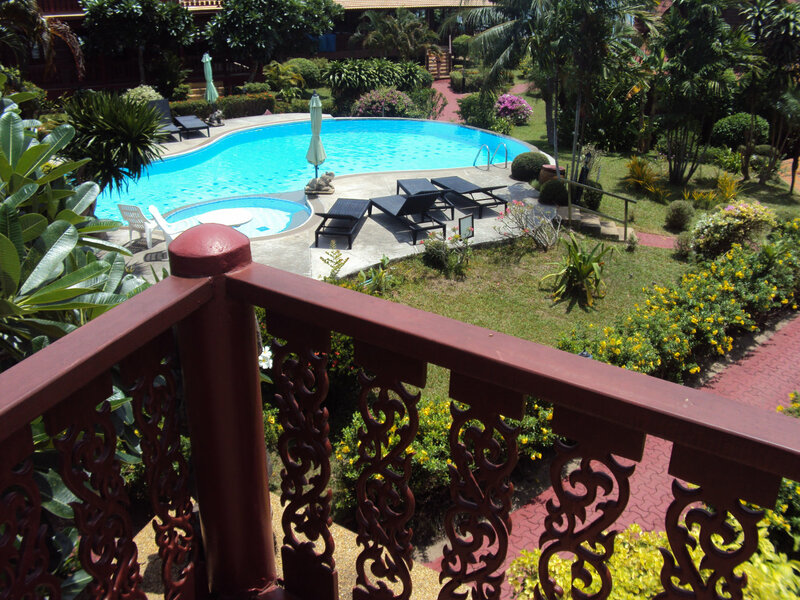 Enjoy the large communal pool, ideal for a family or romantic holiday.